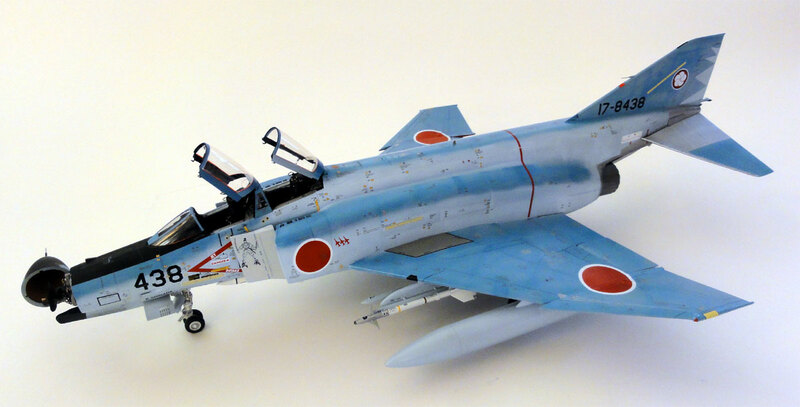 The previous pages showed the model without armament. 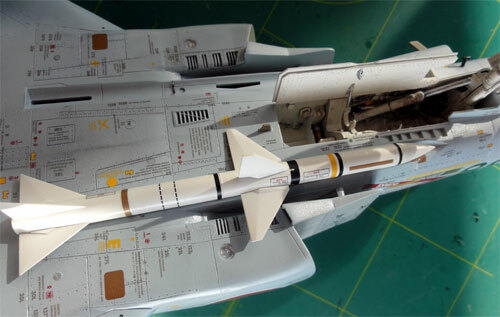 For the model, Sparrow missiles and Sidewinder missiles were added. The Sparrow came from the kit, the Sidewinders from an Academy F-16 kit in 1/32 scale. 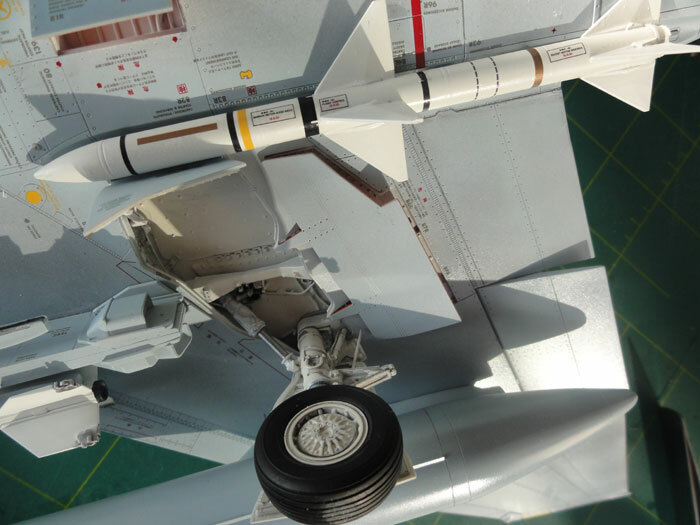 Hope you like the end result. 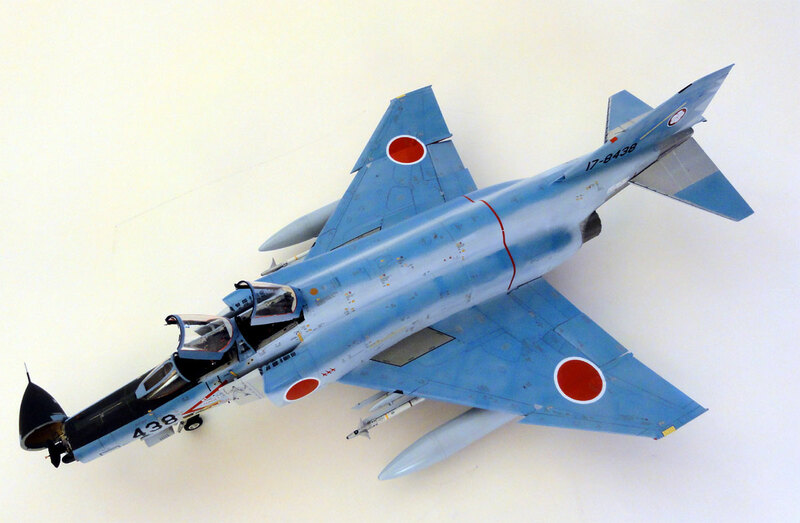 A nice 1/32 colourfull JASDF F-4EJ in the collection.